Shopping Just Got a Whole Lot Easier! Want a stunning dress to go with your next big event…without the issue of breaking the bank? Rent the Runway offers shoppers the chance to rent designer pieces, dresses, jewelry, and handbags at 10% off the retail cost! How it works is that you select the dress you like and have it shipped to your home (with an additional size at no cost!) You keep the items for a 4 to 8 day period with Rent the Runway also providing a hassle free return with prepaid, pre-addressed packaging. 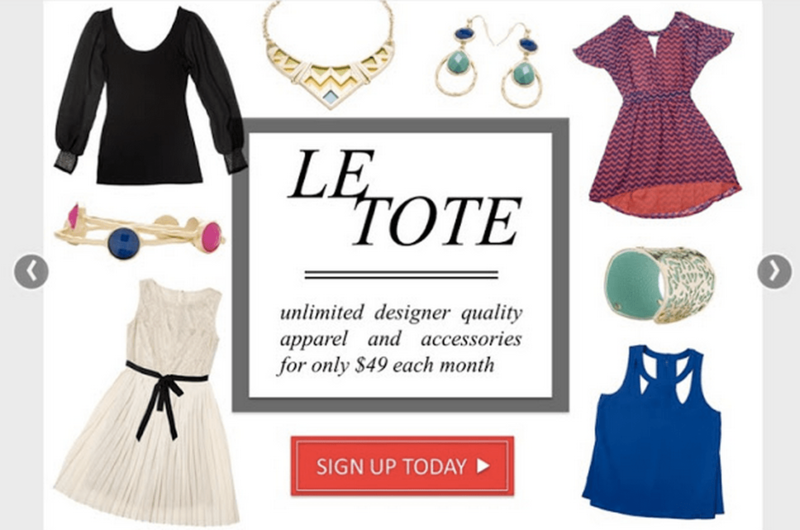 Similar to Rent the Runway, Le Tote is a rental company for clothing, but instead of special event clothing Le Tote offers shoppers everyday rentable wear! Shoppers have access to unlimited rentals worth up to $1000 plus, you’re even able to keep the clothes as long as you like (similar to the concept of renting a Netflix DVD) for the cost of $49 a month. Too busy to get he latest looks? Why not hire a personal stylist? Stitch Fix, a San Francisco based clothing retailer, mixes tech and fashion bringing five new items to your door with every order! How it works: Customers pay a $20 styling fee (applying to the cost of the items you keep) and fill out an online style profile, stylists will use customers’ profiles as well as social media outlets like Facebook and Pinterest to find five items styled just for you! Once customers receive the items they have three days to try them and pick and choose their favorites. Having trouble finding the perfect bra? True&Co can fix that! Similar to Stitch Fix, True&Co offers shoppers the opportunity to try on items without the commitment of keeping it. All you need to do is their 2 minute online quiz to determine your size, select styles you love, and then try it on! And don’t worry, if it doesn’t fit the first time True&Co works with you to help you find your perfect match! When fashion and technology team up, only good things can happen. Really, really good things, like making Pinterest and Instagram shoppable, giving you access to other people’s closets, and creating a sweater that changes color depending on your mood. Try to resist the urge to shop while you read ABCey’s top ten favorite online fashion services! 1. LookMazing | Have you ever seen the most impossibly chic woman strutting around Union Square and wondered, where did she get that?! LookMazing lets you browse through everyday people’s looks and, if you see something you like, just click the picture and you’ll see just where everything comes from. If you’re one of the impossibly chic, you can upload your own pics and share your lookbooks and wishlists with everyone! 2. Fashion + Tech SF | If you’re interested in learning the ins and outs of how the fashion and tech industries fit together, you have to attend a Fashion + Tech SF workshop. Besides hearing from knowledgable entrepreneurs and professionals in either business, these events are huge networking opportunities. Job-seekers and passionate individuals are always welcome to the meetings, so check the schedule on their website. ABCey would love to learn more from this innovative organization! 3. Sensoree | Who knew fashion and technology could combine to be so contentious! This clothing line creates wearable technology that connects the inside of your body, like your electromagnetic energy, with the outside world. Not convinced? The design, which showcases your body language through an interactive light display, was created to aid Sensory Processing Disorder. Learn more here. 4. Boutiika | Boutiika brings the fun and adventure of discovering the cutest little boutique to the web, but with a twist. Local shops share their latest merchandise on this site and shoppers can select what they like, but not buy. Boutiika strives to preserve the personal experience of going into the store itself, so they tell the store to reserve your selections when you have time to come in. It’s like being your own personal shopper! 5. Stylend | Stylend is a location-based app that brings together the woman with the brimming closet and the woman who needs a dress for that restaurant opening she forgot about. Dresses, accessories, shoes, and more are available to rent and browse in your city. The app is fairly new, so our advice is to share your closet to get the ball rolling! 6. 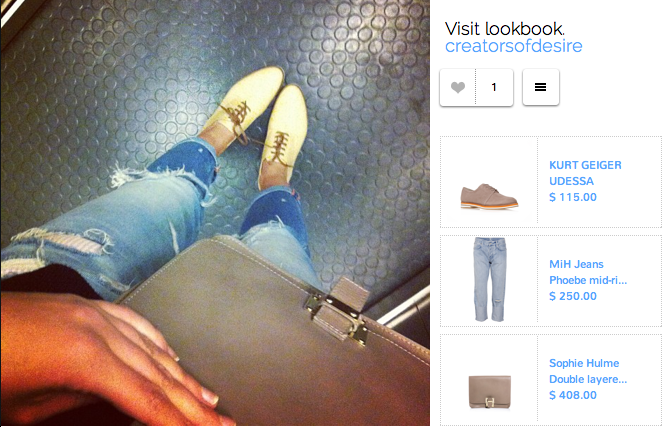 52Grams | Following someone chic on Instagram is so much more fun when you know where they buy their clothes! 52Grams can turn any follower into a fashion leader with their online lookbook made from user’s own Insta’s. This site seems like an excellent social media tool for up-and-coming designers and bloggers and is definitely worth a visit. 7. Just Fab | Justfab.com has constructed their business to connect consumers to producers more directly in order to keep their products inexpensive. By joining this free service, you can select any shoe on the site for $39.99 each. JustFab.com as a company is growing like crazy: in the last few months, they’ve acquired Fab Kids and The Fab Shoes. This is a company to watch out for… and to shop with! 8. Threadflip | We all have that beautiful bag we bought three years ago and have neither worn nor been able to part with. Threadflip lets you turn your closet into a boutique and cleanse your room of all clutter while selling your things to someone who’ll actually use them. And when you’re staring at the open space in your closet afterwords, head back to the site and browse the pre-loved items other users are selling! At ABCey, we just can’t stop snatching up these deals! 9. ShopInterest | Re-pinning a photo on Pinterest turns into clicking “add to cart” with ShopInterest. This site is a way for businesses and resellers to create their own website with a Pinterest-like interface. 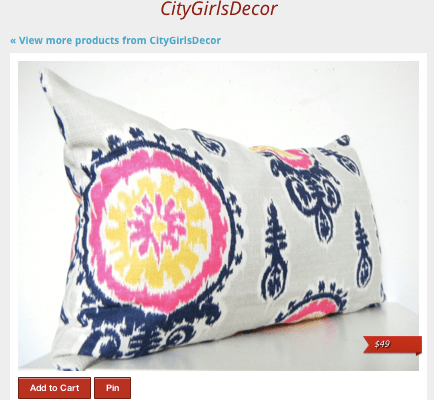 All items are buyable, show the price on the photo, and can be shared with users on Pinterest. Finally you can remove that “Wanted” pinboard and actually buy these products! 10. MySaleTable | Can it be possible that some genius created a website just for boutique sales? Yes, yes it is. 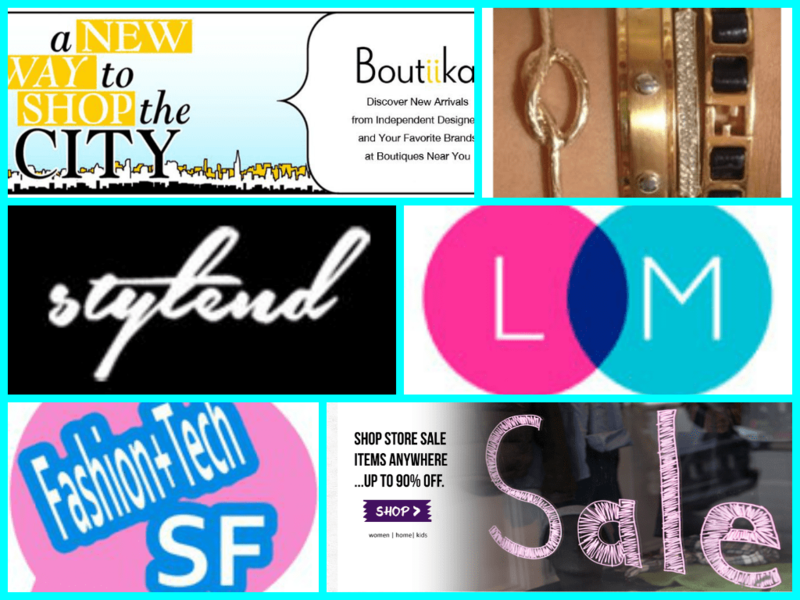 MySaleTable brings the sales to you online where you can browse tons of discounted merchandise. Boutiques upload pictures and details of the products they want to put on sale, and you can either buy them online or reserve them for store pick-up. Never miss a great deal again with MySaleTable! What do you think: are these services fashion forward enough for you? Tell us in a comment or connect with us on Facebook and Twitter!